The ICB Prayer Bible For Children is specifically written in a way that makes it easy for kids to understand. 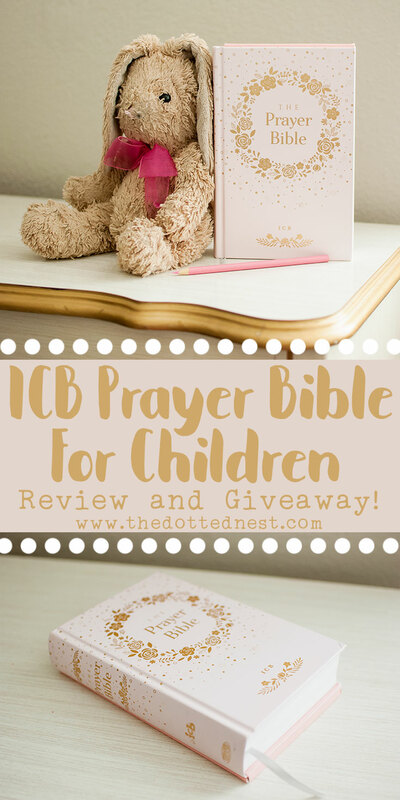 I agreed to review the ICB Prayer Bible For Children thinking it would make a great gift for my 6 year old daughter. What I wasn't expecting was how much I myself would enjoy reading the ICB translation! Sometimes all the "thou's" and "doth's" and the old language that we really don't use today makes it a challenge to focus and read God's Word. I found this version of the Bible to be an easy-to-understand read, and actually written in a way that draws you in to the verses. (Please note: This is a sponsored post, which means I have been given this book for review. All opinions are my own. You can read more about sponsored posts here). 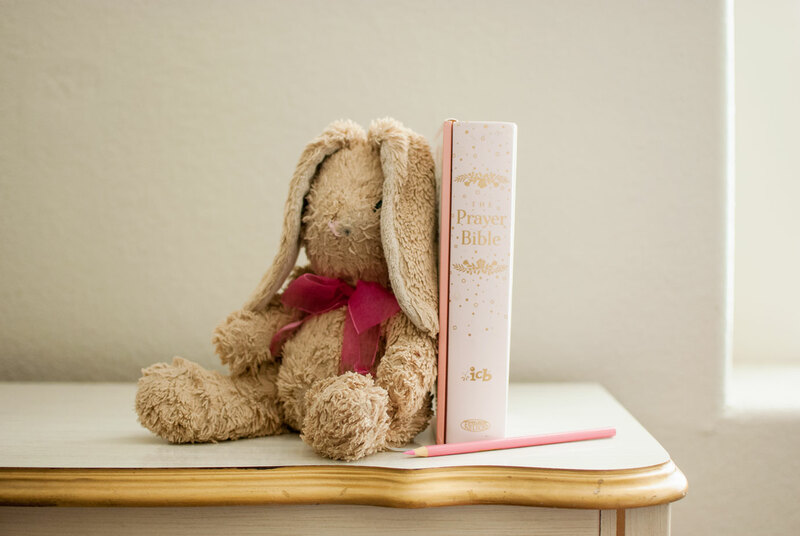 My daughter is 6, and while she is on point for the reading level at her age, the ICB Prayer Bible For Children is a little bit of a challenge for her. 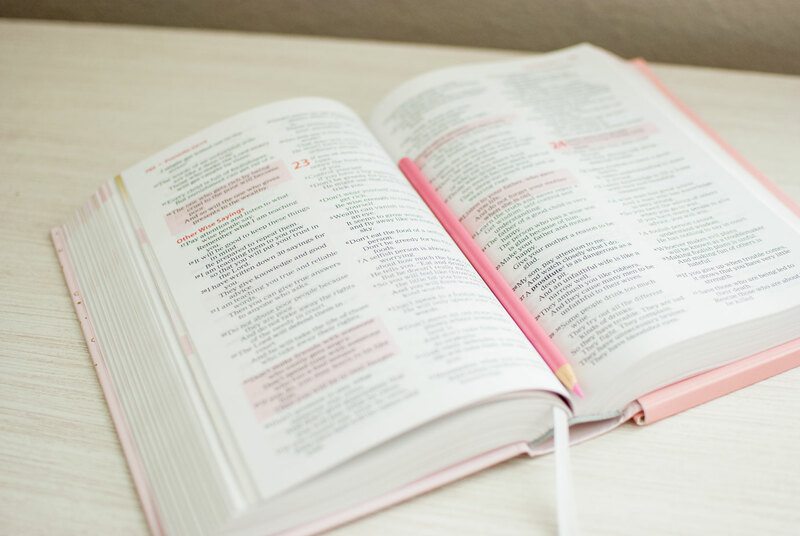 I think it is probably perfectly suited for children at a 2nd Grade reading level and above, but the Bible is written as an easy read-aloud that can still keep younger kid's attention engaged. Because of the easy-reading way that it's translated, I really think that teens would benefit from it as well. In my opinion, the ICB Bible version would be good for pre-teens and maybe even teenagers too. Part of understanding the Bible and having it come alive is, well, understanding what you are reading! Having a Bible translation in the tone of our modern language helps to bring the stories and message alive. 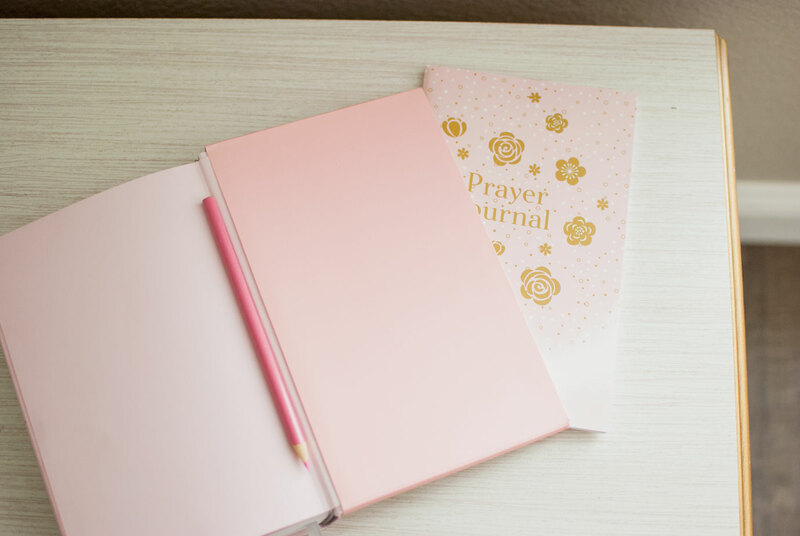 The ICB Prayer Bible For Children comes with a matching prayer journal so kids can record their prayers. 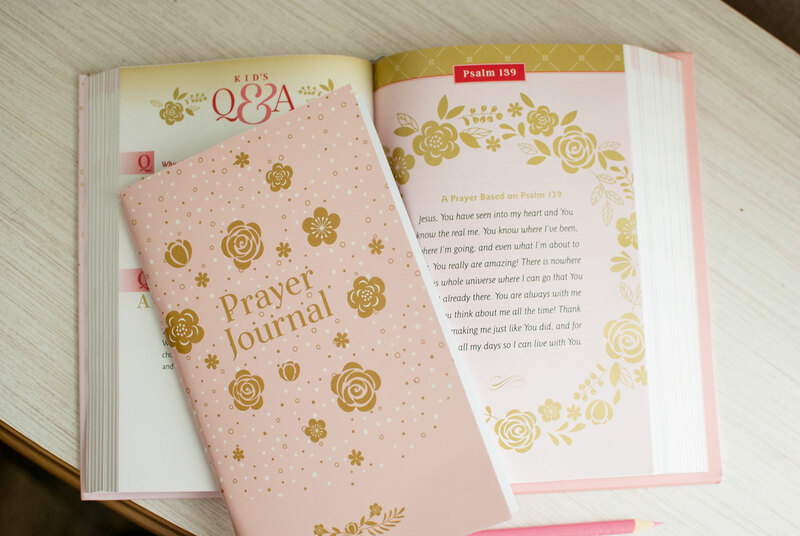 A removable pocket on the back flap of the Bible makes it easy to keep the prayer journal with the Bible. My daughter loves having her own special Bible journal, she is at the age of writing notes and doodles on everything so the journal is perfect for her! My 6 year old is very into all things pink and girly! 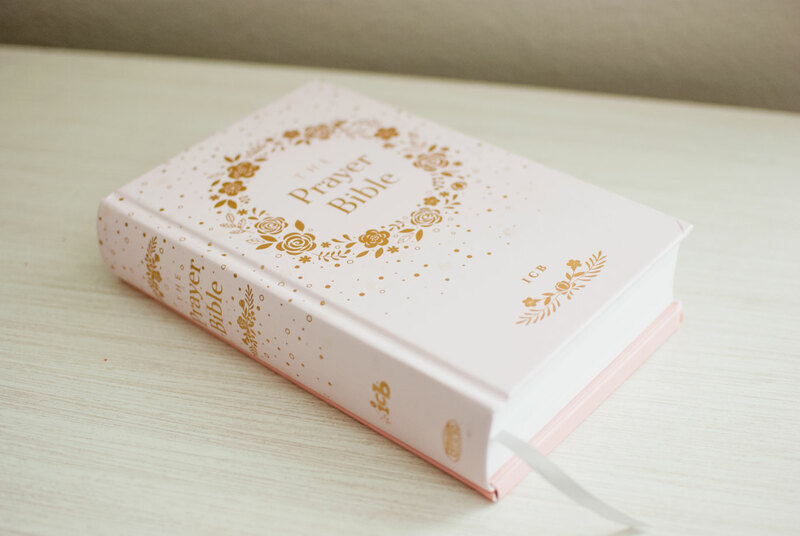 The ICB Prayer Bible comes in 2 color design choices. Light blush pink with gold floral accents, and a fun whimsical blue with gold hot-air balloon accents. I like that the Bible has a hardcover and feels like it will be durable and able to withstand the normal amount of "kid" use. 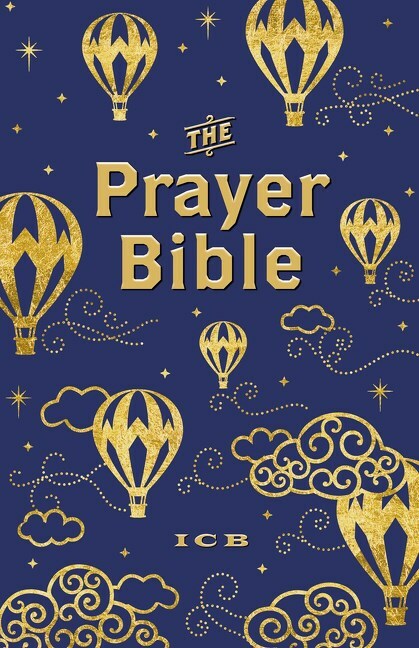 Overall, I highly recommend the ICB Prayer Bible For Children. Kids (and parents too!) can benefit from reading this Bible with you even if they aren't quite at the age of advanced reading on their own yet. 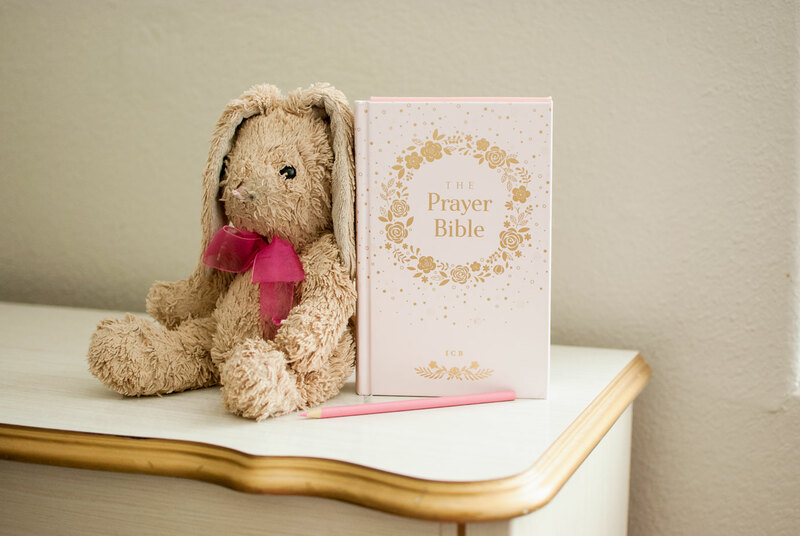 You can enter to win an ICB Prayer Bible For Children by visiting this link. 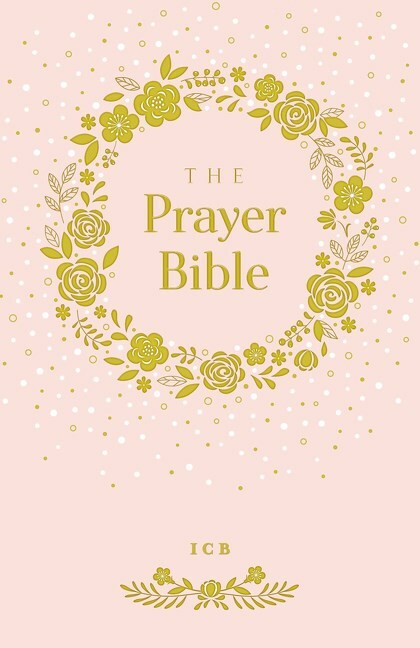 The ICB Prayer Bible For Children is available for purchase by visiting this link. Let me know if you have any questions about the ICB Prayer Bible For Children! 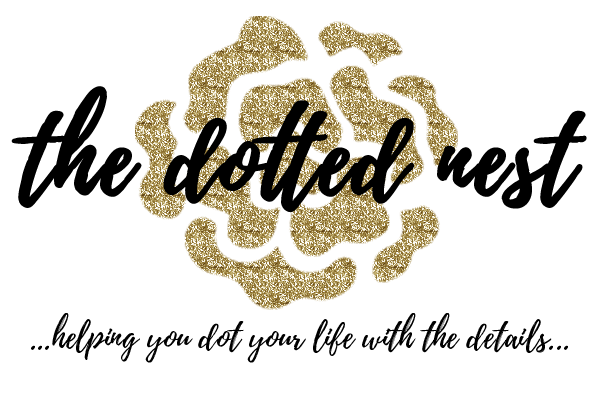 You can join the discussion over at The Dotted Nest's Facebook community "Dotting Your Nest". See you in the group!